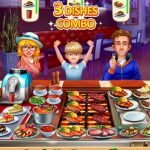 Gordon Ramsay DASH is pretty much like Diner Dash, only this time, it’s endorsed by, and features the popular chef Gordon Ramsay of Master Chef and Hell’s Kitchen fame. Not surprisingly, this Android and iOS game comes to us from Glu Games, the company which has been responsible for a plethora of celebrity-based games. Since Glu is the same company behind Diner Dash, it was just natural for the them to include Ramsay in this new game, as he serves as your guide. 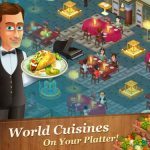 You’ll get to travel the globe and hone your skills in various restaurants around the world, and like you did in Diner Dash, your ultimate goal would be to build a restaurant empire of your own. 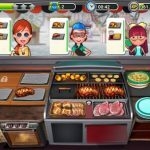 But it won’t be just that, as the game also includes Boss Battles against Ramsay and other chefs, as well as a first in the DASH franchise – the ability to create a custom look for your chef. This game should be easier to play if you’ve played Diner Dash or Cooking Dash before, but just in case you’re new to the series, we’d like to prevent you from being called a bleeping donkey by Mr. Ramsay himself. (And he will use profanity in this game, so be prepared!) That means giving you a list of Gordon Ramsay DASH tips, cheats and tricks, which can help you whether you’re a first-time player or not. One of the most basic things to remember in this game is that you’re capable of holding two trays at a time. A tray, just to let you know about the game’s basic mechanics, holds the food you’ll be serving, as well as a drink. Keeping that in mind, that’s two dishes and two drinks which you can carry in one go. Use this mechanic to your advantage by preparing new dishes and serving the completed ones, and also reducing your chef’s movement, so you can efficiently and effectively cook and serve at the same time. Gordon Ramsay DASH will give you free coins from time to time, and it’s easy to take advantage of this feature. Tap on the plus signs beside the coins and gold counters, and you’ll be directed to the area where you can make in-app purchases. Click on the option for free coins or free gold (the game’s premium currency), and watch videos so you can get a few units of the currency of your choice. For the gold section, you’ll have the option to complete special offers (playing a mini-game, downloading a separate app, etc.) for more gold, also free of charge. If the coins you currently have aren’t enough, you can go back to the levels you’ve already completed and replay them so you can grind for more coins. As an aside, you can also complete the trophy quests, which earn you free coins and gold – just look for the number next to the trophy button, which will signify you can now collect your rewards. This game will have you starring in a fictional reality show, and stages are labeled with that in mind. Having said that, the Action Queue technique will be taught to you once you reach Season 1 Episode 7. What is this technique, and how can it help you? Basically, Action Queue will let you deal with multiple customers who want the same order; create a sandwich for holding with both hands, for instance, then tap on the customers so you can serve them both. Using the Action Queue will also allow you to fill up your Frenzy Meter, which triggers the game’s “fever mode” equivalent. Once that happens, you will be “summoning” Super Gordon, who will then serve everyone in your restaurant at that current time. Frenzy Mode could be a great way to deal with customers if you’re in over your head, so use the Action Queue and always keep your character in motion. Another way to fill up your Frenzy Meter and earn Frenzy Points is to leave coins on the table and swipe them to collect them all. Leave those coins until all the slots are filled up, as that will earn you more coins and let you collect them in one fell swoop. As new customers won’t be able to sit down if coins are still on the table, that’s going to allow you to buy some extra time, though you still wouldn’t want to leave the coins on the table for too long. That might leave you pressed to serve all your customers, with little time remaining to do so. During the early parts of the game, you’ll only be able to access one Grill Storage. That will allow you to keep one patty fresh and ready for cooking. It’s important to have one of those patties on standby, as you’ll never know when someone will order a burger. Also, you will want to grill a patty the moment your Grill Storage is empty, so that you can refill it. When upgrading stuff in your kitchen, you should take into account your biggest areas of need. For example, you may want to upgrade your grill in order to speed up the cooking process, or to simultaneously cook multiple dishes. You can also upgrade your condiment stations if you need some improvements in those areas. Food can also be upgraded, so work on that as well so you can make dishes containing those items more expensive, though in this game, more expensive doesn’t make them any less attractive to customers. Although it’s optional, you can link your game to your Facebook account, though saving your game progress is arguably not the most important benefit of such. Rather, it’s the ability to ask your friends who play the game for supplies, which you’ll need if you want to play or replay a level. Normally, you’ll have to pay with your gold if you want additional supplies, but since that’s the premium form of currency, it would be more cost-effective to ask you friends instead. You may also want to create a separate gaming account on Facebook, and add friends from the reviews section of the Google Play or Apple App Stores. It happens, even to the best of us – while playing the game, you may be so occupied with all that multitasking that you may forget how to cook a certain dish. If that happens, do a tap-and-hold action on the order bubble found over a customer’s head. That will pause the game and allow you to view how to make the dish. 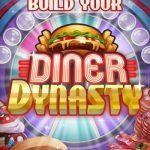 Once you’re done with all of Season 1’s episodes, you can then collect your profits from your restaurant, Big Bay Burger. Make sure your phone’s notifications are turned on, as that will let you know when the profits are ready to collect. Keep on collecting profits and experience points as you move along, and keep yourself notified about it at all times. And this wraps up our list of tips and tricks for Gordon Ramsay DASH. In case you know additional hints for the game, please let us know in the comment section below! There are only 40 episodes in big bay burgers. How do you earn the trophy in 60 episodes?